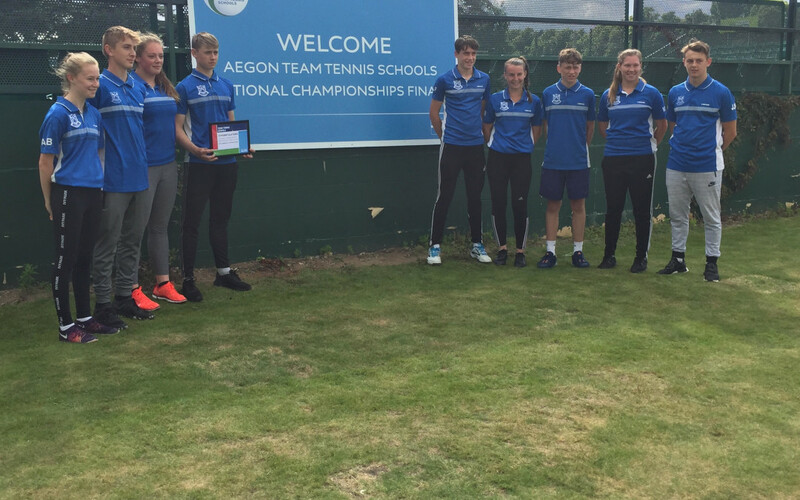 Over the past 4 years, St Peter’s RC High School tennis has enjoyed considerable success with the Montagu Academy coaches guiding at least one team to the National Schools Finals. This year was no exception. In fact, both the boys and girls teams were present. In the past few years, the boys had enjoyed 6th and 5th placed finishes and last time out it was the turn of the girls and they managed a very respectable 12th place. These are incredible achievements for a Catholic Comprehensive school where the facilities are limited to 2 playground courts, a covered barn and a multi-purpose Sports hall – all of which are shared with PE. The winners of this years boys tournament, Culford, have a coaching team boasting a former Davis Cup player and a Level 5 coach. 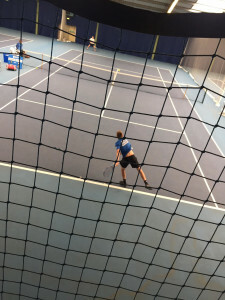 Parents would pay approximately £30,000 a year for their children to attend and they have 11 courts to practice on, including 4 indoor. Now to the action! The National Finals draws are made up of 16 teams in each, boys and girls, and each team plays 4 matches. 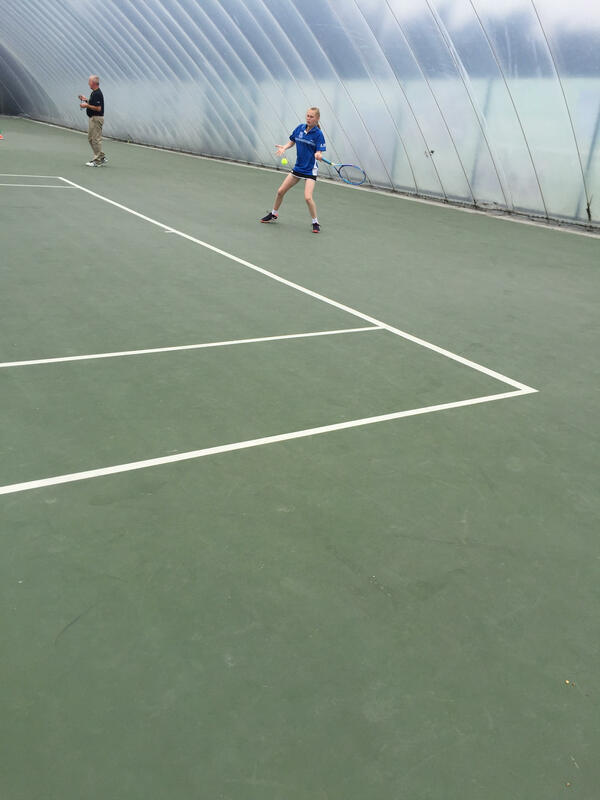 This year, the Montagu Academy coaches and St Peter’s PE staff took a girls team featuring the same side but without last year’s number 1 singles player, Ella Mora. They went into it hoping to at least win one match out of the four and equal last year’s finish. They did just that. Some inspired performances from all involved, especially from the youngest of the bunch, Anna Barnes, 14, who grasped the chance to drag her team over the line on day two! The boys team looked rather different to the one that accomplished the magnificent 5th place two years previously. This one was a younger, less experienced side – but on this competition’s evidence they have a lot of potential. They managed to win 2 out of their 4 matches and cemented 11th place on the last day with a ‘shoot-out’ victory over Repton independent school courtesy of the pairing of Captain and St. Peter’s Number 1 Rhodri Atkinson and Miles Ray. This was a very rewarding week for these players with a lot of experienced gained. With the rain causing delays to matches, the teams had a lot of waiting around to do and learnt to stay patient and go through warm-up routines whilst also staying rested and hydrated. They also witnessed and played against some of the best tennis players in the country for this age group. The girls team faced the number 1 ranked team in the first round. The boys draw had a number of players who had just returned from playing Junior Wimbledon! So, it was very rewarding to not only watch but also to test themselves against these players. 2017: Girls 12th place, Boys 11th place. Not bad for a state school from Gloucester! Girls: Georgina Barnes, Maya Lewis-Chaplin, Lydia Ray, Anna Barnes. Boys: Rhodri Atkinson, James Holden, Liam White, Miles Ray, Luke Fullard.